Great ideas and things at work can happen anywhere, anytime. 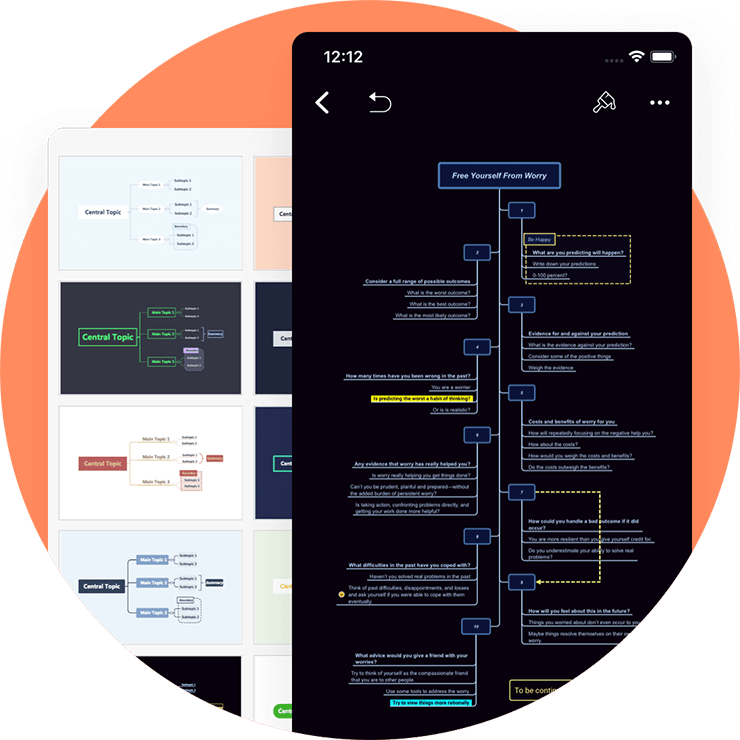 Mobile version allows you easily access all your mind maps from iPhone/iPad, and now Android is already online. With all-new graphics engine, mind mapping is as fast and powerful as in desktop. 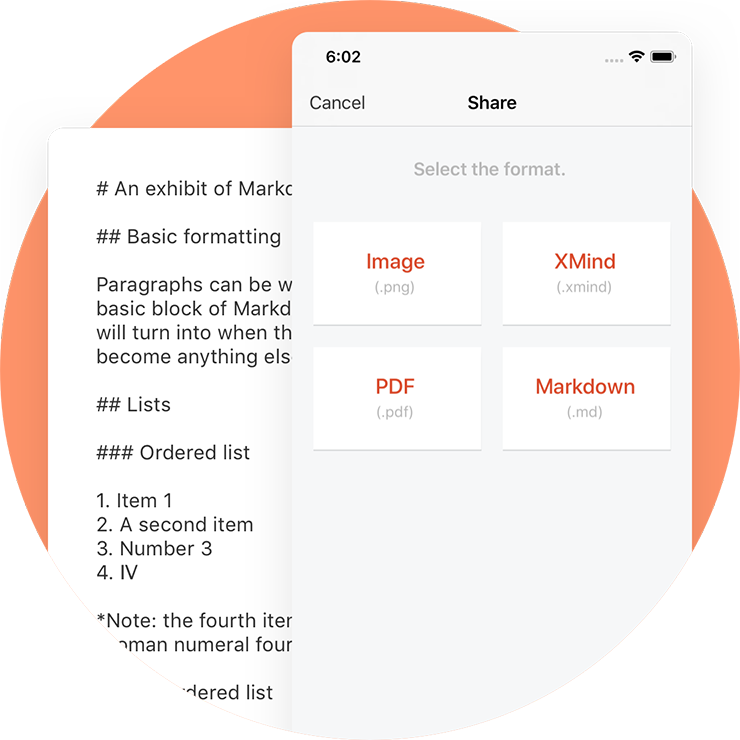 You can have the same experience of the desktop while using fonts, structures, and other styles. 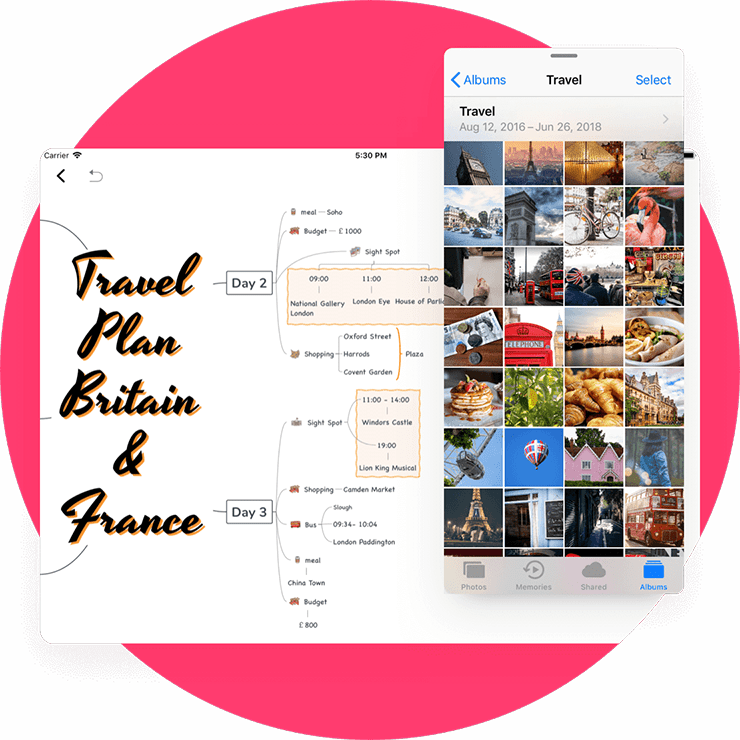 Easily save and find your mind maps across devices, iCloud Drive and 3rd-party clouds. 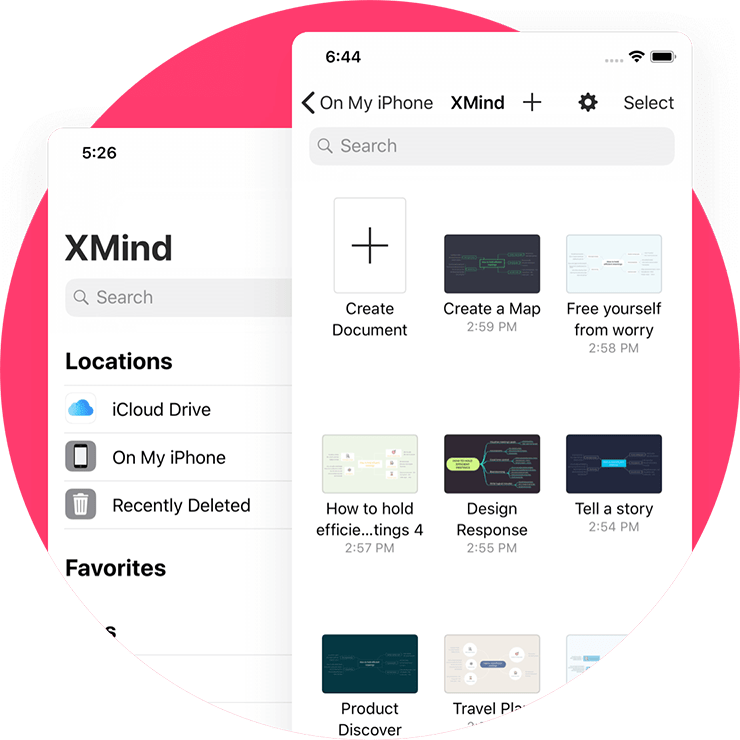 Packed with beautiful themes, XMind for iOS enables your mind map a fresh look, no matter you are on the way to give a presentation or going to make a travel plan. It always assists you to create mind maps more diversely. 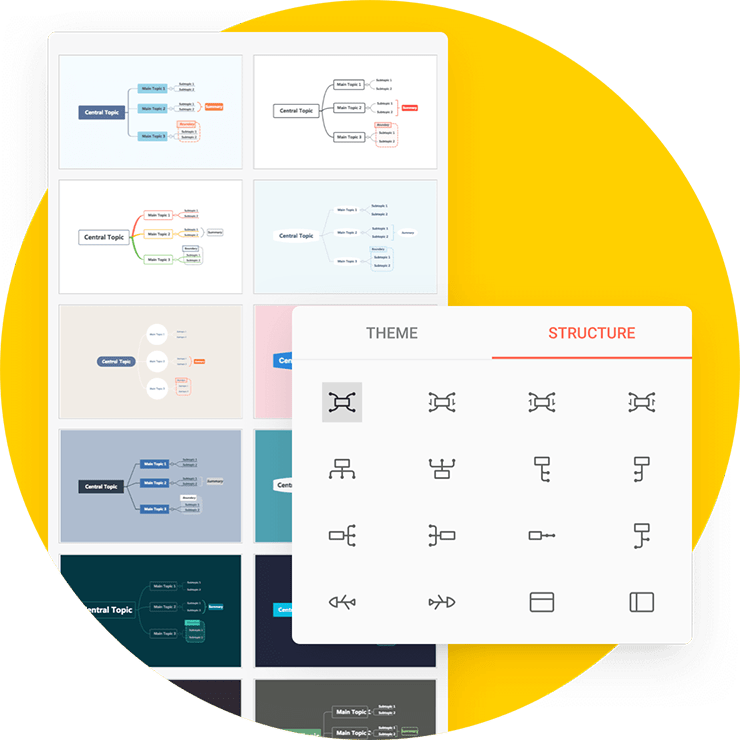 A mind map can be more personalized with shape, fonts, color, width etc, that give you control over the most important visual elements of your mind map. Quick style is always fast and useful to mark the importance of a topic. Images are always telling some concepts and ideas intuitively. There are 89 built-in stickers in iOS version, and all of them are designer’s original works. You can also add photos from mobile album to express more. Markers are widely used in mind maps. It’s used to express specific meaning, such as priority, progress, risk, feeling etc. 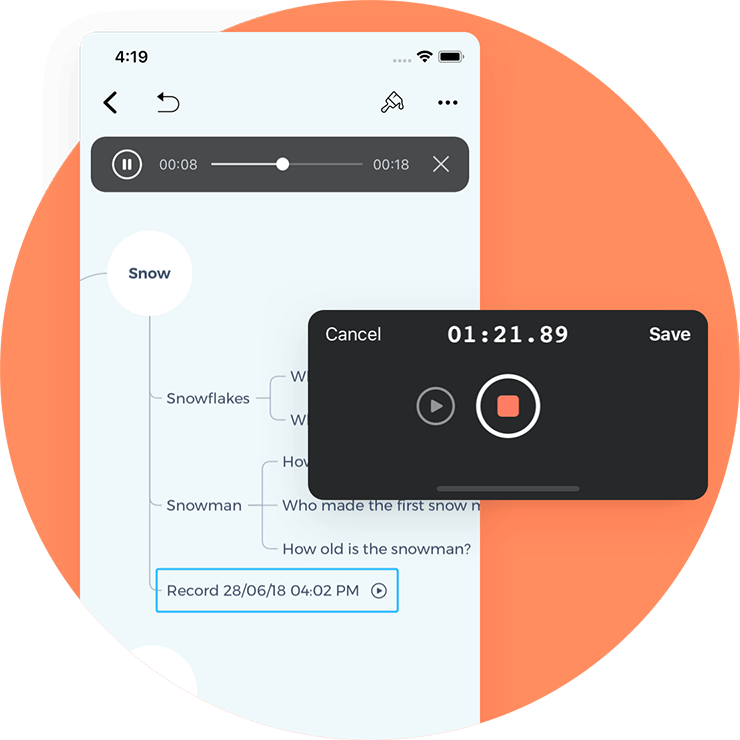 Audio note enables you to annotate topics without typing. 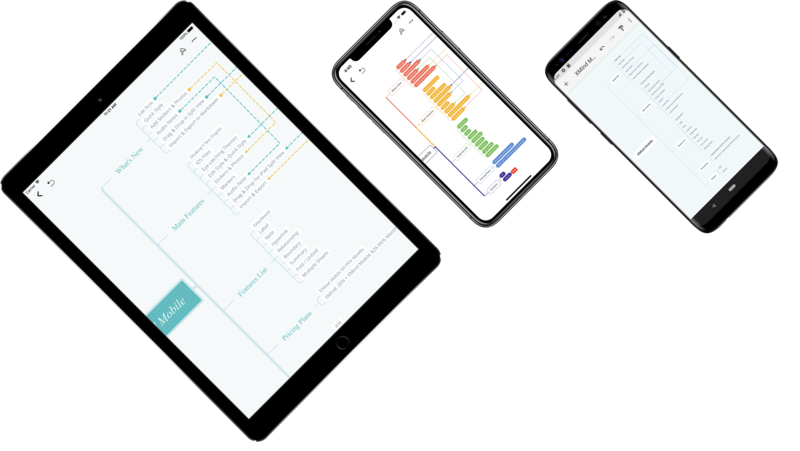 It’s fast and intuitive, helps you to capture spoken information during meetings, brainstorming or other activities. Drag and drop in split view and keyboard shortcuts are popular as always. 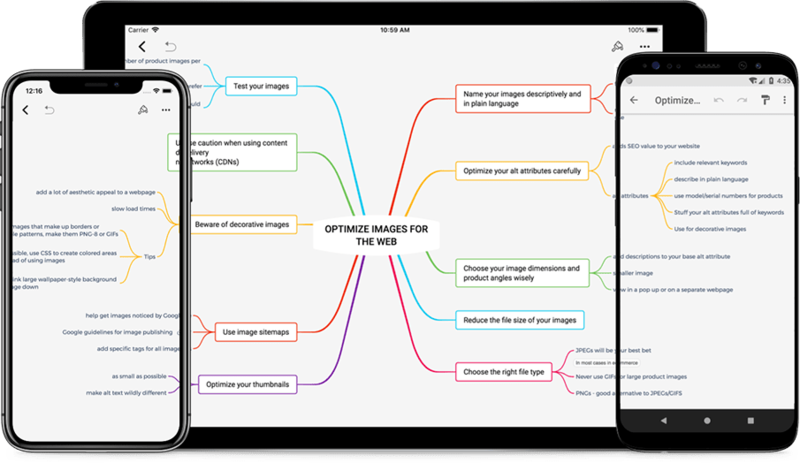 With drag and drop, you can quickly and easily move images and attachments from one app to your mind map. And keyboard shortcuts allow you perform common tasks by just one press. Super fast and useful in iPad. Everyone loves markdown. You can export to .md format now. 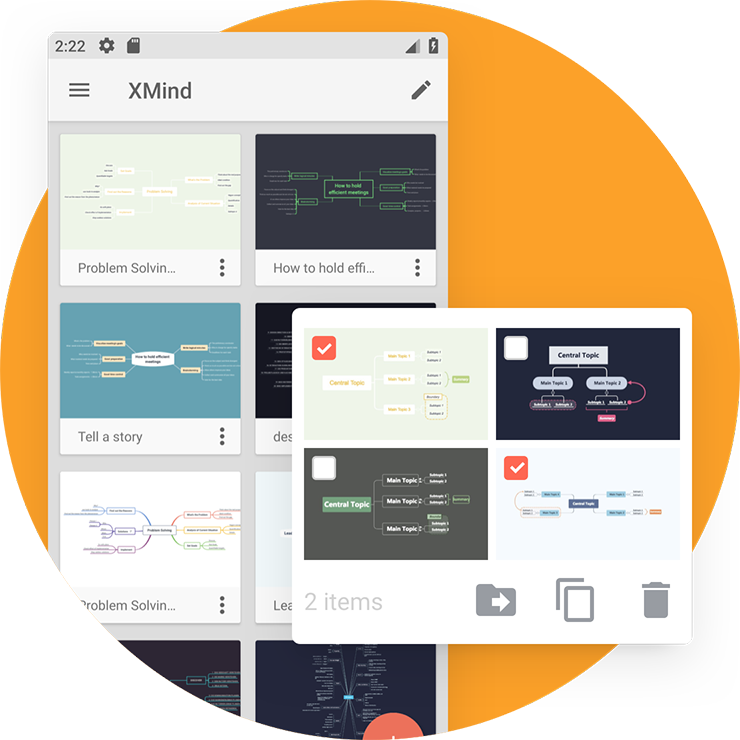 Also, saving the mind maps as vector PDF files, image, .xmind format is always available for you. You can attach a file or another mind map which is related to your current map. The attachment will become a new topic and will be previewed when you open it. A label appears with a topic, and typically used for simple notation and categorization. To make all topics are very concise, you can put your complementary ideas into the notes and view them when you need. A relationship is a customized line connect with any two topics to show a special relationship between them. You can change the line into different shapes, colors, width and add description directly. A boundary can group topics together with a closed area. You can use it to emphasize some content or tell readers some special concepts. We provide many styles for your boundary. A conclusion is always essential in every part. 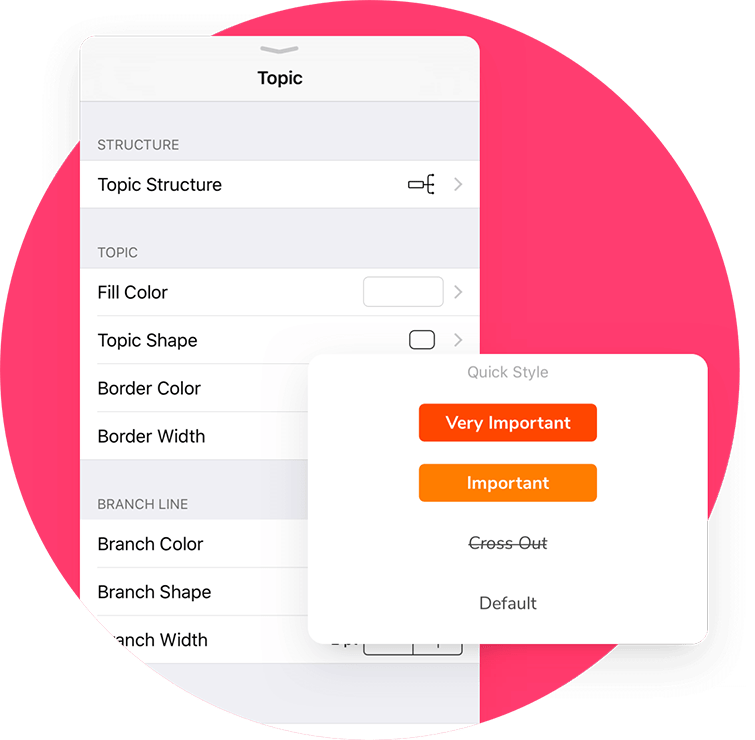 Like other types of topic, a summary topic can change the style, color, shape, and extend to subtopics. 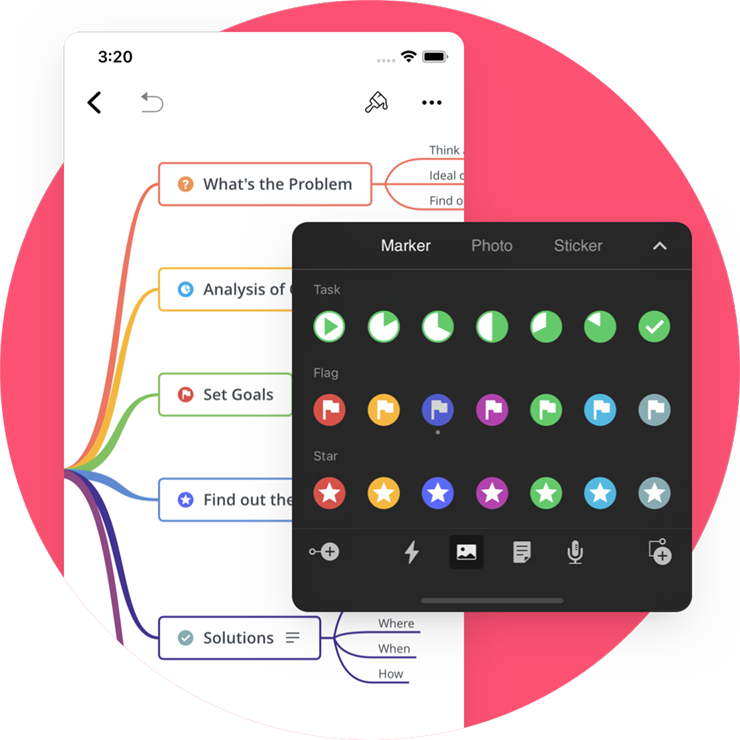 Fold enables your mind map cleaner and neater. A number of topic account will appear after your folded topic. You can unfold it at any time. 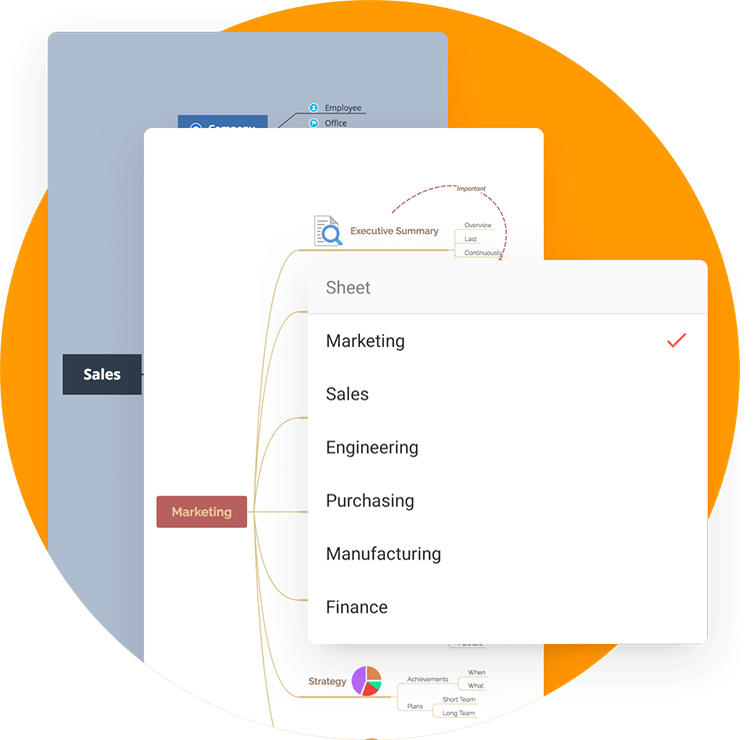 You can view and create a new sheet in one mind map, which allows you to use mind maps to sort under the same project. 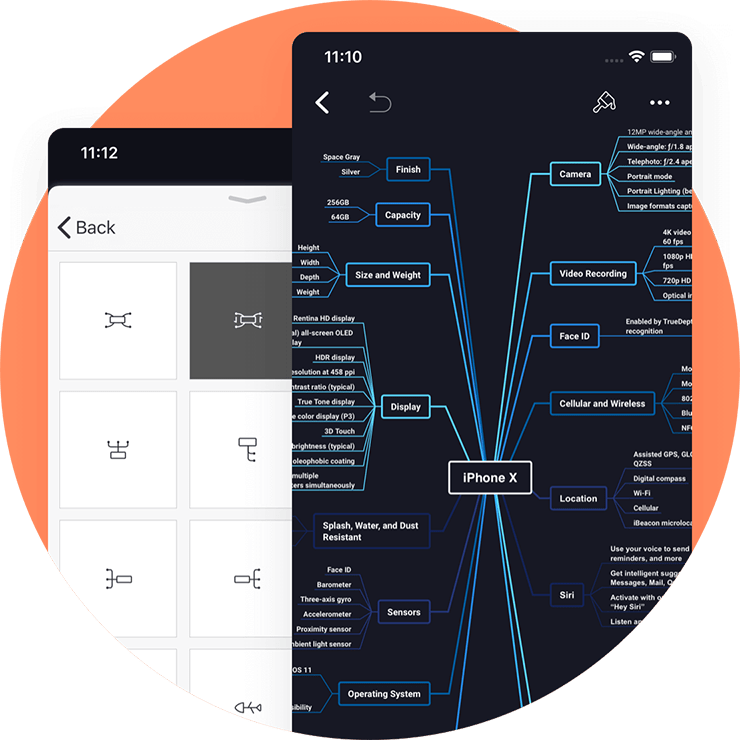 Start mind mapping on your iPhone/iPad now. File management allows you to create new folders, rename files, move mind map or folder into another folder easily. You may also delete mind maps in batches. File management brings orderly of all your mind maps. All the themes and structures you are familiar with are supported on XMind for Android. More than 30 well-designed themes to meet all your cases. You can change structure to fishbone, matrix, timeline and other styles to make your mind map visually. 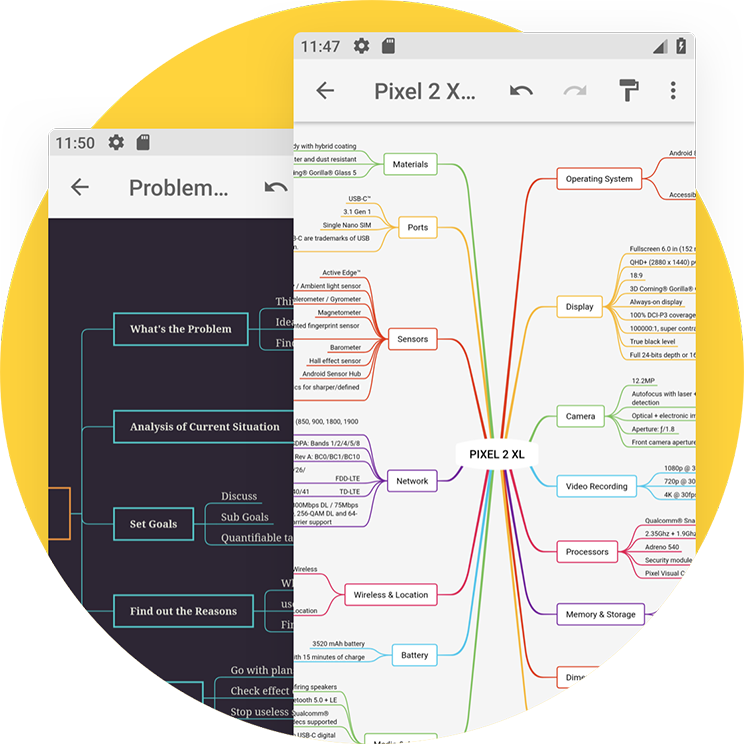 If you make a mind map with a lot of sheets on the desktop, you can view all the sheets from your Android device with no obstacle. 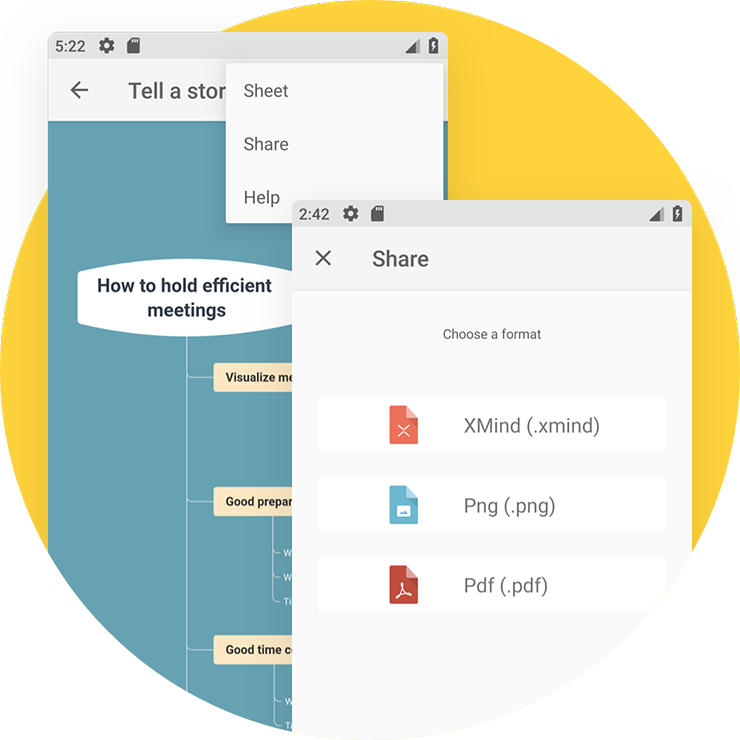 For your better sharing with a mind map to your friends or colleagues, the new Android provides the most popular used format, PNG, PDF and .xmind. 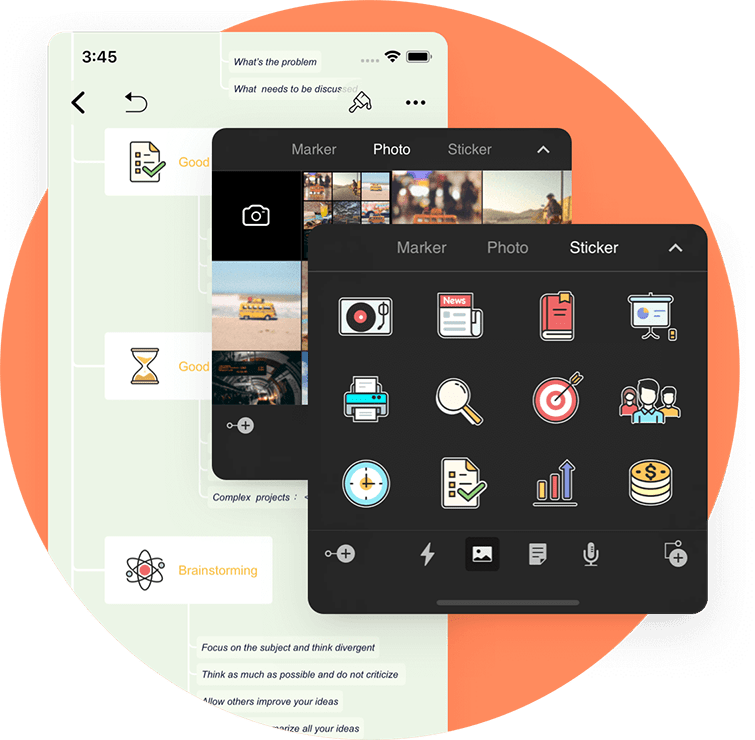 Start mind mapping on your Android device now.